Now that I’ve been ordered to Santiago de Compestela to do 2,013 Hail Mary’s for swearing on my blog, I’m starting to contemplate more seriously my relationship with the holy mother. Not that I was raised Catholic, or really even know much about it. 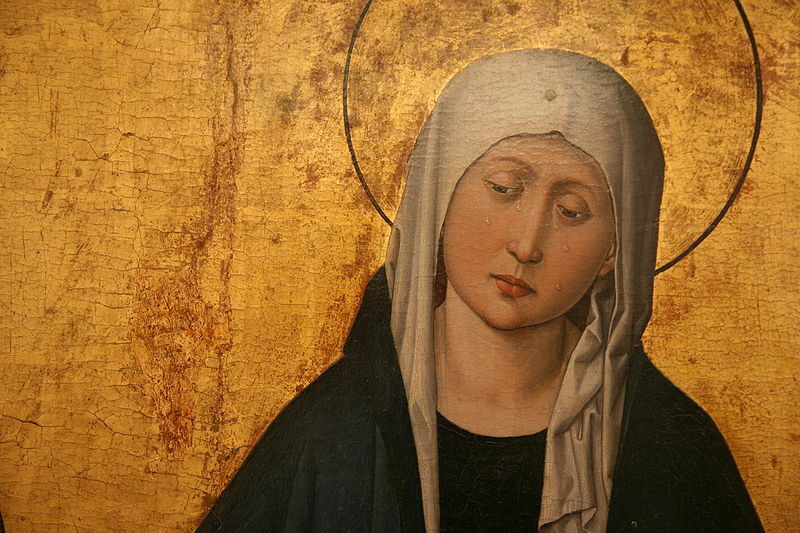 I just like Mary because she looks so sad and is compassionate. I guess that’s why they call her Our Lady of Sorrow. People turn to her in times of grief and sadness, to be consoled. And who doesn’t need to be consoled now and then? Sorrow, or sadness, and the closely related emotion, grief, are painful. Like a lot of feelings. I wish they would go away, or be under control, or yield to reason. But I don’t think of my feelings as the unfortunate result of a failed attempt to rise above the animal level. I think our emotions are there for a reason. Frank Herbert in Dune said, “Fear is the mind killer.” Fear apparently does slow down our thinking, but for a reason. It’s so we can be ready to act to protect ourselves from danger, and not get gobbled up while we’re deciding what to do. So what does sadness do for us, besides make us mope and pout? I got interested in sadness because it is similar to depression. I got interested in depression because I wanted to know how to get rid of it! Depression feels kind of like sadness, only worse. There seems to be an overlap. I suppose I could say they co-occur, or one leads to the other. But they are not the same thing. An important book has been written about this, The Loss of Sadness: How Psychiatry Transformed Normal Sorrow into Depressive Disorder (Allan V. Horwitz and Jerome C. Wakefield, 2007). We don’t need a pill every time we feel sad. There are ways to deal with it. And it serves a function. But sadness can get out of control. One way to deal with sadness is by crying. Charles Darwin, after shaking things up with evolution, published The Expression of Emotions in Man and Animals (1872). Darwin thought that crying expresses suffering, “both bodily pain and mental distress.” So is sadness also a response to suffering, or is sadness actually a form of suffering, provoked by some event or situation? Silvan Tomkins, one of the early researchers in the mid-twentieth century revival of interest in the study of emotion, wrote an entire book on the negative emotions, but there is no chapter on sadness (Affect, Imagery and Consciousness, volume 2, The Negative Affects, 1962). There is a chapter, though, titled “Distress-Anguish and the Crying Response.” Tomkins lists several functions of crying. First and foremost it indicates to the one crying and communicates to others that all is not well. Seems simple. Something is wrong. Something bad happened. Something is not how I want it. I am unhappy, probably sad. If I experience distress, then I likely feel that I need help. I might even cry, especially if I am very young, don’t understand what’s going on, and can’t take care of myself. Crying also motivates. We look for ways to alleviate the bad situation. We want the crying to stop. Fear is also an emotional response to something that’s not okay. But it is something dangerous or threatening, and something that might happen, like getting attacked. Tomkins speculates that distress evolved in connection with higher thinking power because fear would be too toxic a response to suffering. We would be quickly worn out and used up if we became terrified every time something was not right. Jack Panksepp, a researcher and prolific writer on animal emotion, emphasizes the parallels between human and animal emotion. He believe that there are several separate basic emotion systems in our brain. Sadness is not on the list. He does however describe a “Separation Distress Panic System,” which is similar to Tompkins description of Distress-Anguish, and seems to incorporate somewhat the emotional experiences we label as sadness. Like Tomkins, he emphasizes the communication function in alerting caregivers to tend the needs of the young. This promotes attachment and social responsiveness, and it is easy to imagine how this system might continue to 0perate in a more grownup form throughout life. But it seems narrower in scope than Tomkins’ motivating emotional force that produces internal suffering when something is going wrong and needs tending to. It seems that serious recent research into sadness is sadly lacking. The best discussion of sadness I have found is a chapter called “The Psychobiology of Sadness,” in Severe and Mild Depression: The Psychotherapeutic Approach, published in 1978 by Silvano Arieti and Jules Bemporod. They describe sadness as a “special pain” which is not physical but mental. These authors were psychoanalysts in the Freudian tradition, although they were familiar with the early work of Aaron Beck and other cognitive therapists. They asserted that in humans all emotions have at least some cognitive component. Sadness motivates us to engage in what these authors call “sorrow work.” This is the normal and healthy processing of our sadness. It is a cognitive restructuring that results in a change of expectations, assumptions about the future, interpretations of the past, our plans, or goals and ambitions. Sorrow work can take time, as when it becomes necessary to accept that the dearly departed will not be with us today, or tomorrow, or the day after. When sorrow work doesn’t happen, or doesn’t “work,” depression can result. Arieti and Bemporod also thought sadness is a “specifically human phenomenon,” although simple forms of it may be present in other animals. What is the difference between distress and sadness? Sadness might be a broader category. Perhaps distress is sadness combined with an urge to shout about it. Where does grief come in? I think grief is a response to loss. Some authors seem to interpret all sadness as a response to loss of some kind, but I think that might be stretching things. 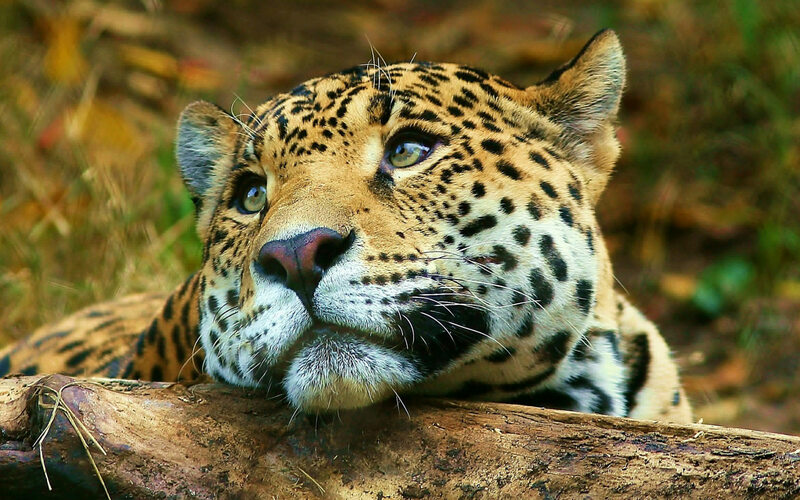 Do human emotions of sadness and grief differ significantly from what occurs in other mammals, because of our higher cognitive functioning, more developed prefrontal cortex and expansion of symbolic representation into the use of language? Some caution us not to read too much into what appear to be emotional responses in animals, evidenced in facial expressions or behavior. But more and more research seems to be pointing in the direction of a marked similarity in emotion between humans and most other mammals. Jeffrey Masson and Susan McCarthy explored this questions in When Elephants Weep: The Emotional Lives of Animals (1996). Myself, I think cats and dogs, for example, experience sadness which is indistinguishable from that of their human masters. I also think their cognitive abilities, including the ability to engage in symbolic thought, with or without the use of language, may far exceed what has been so far suspected by most scientific researchers.